The Nib has recently posted Lighten Up, an illustrated essay by artist Ronald Wimberly, who has worked on projects for Vertigo, Boom!, and Marvel. 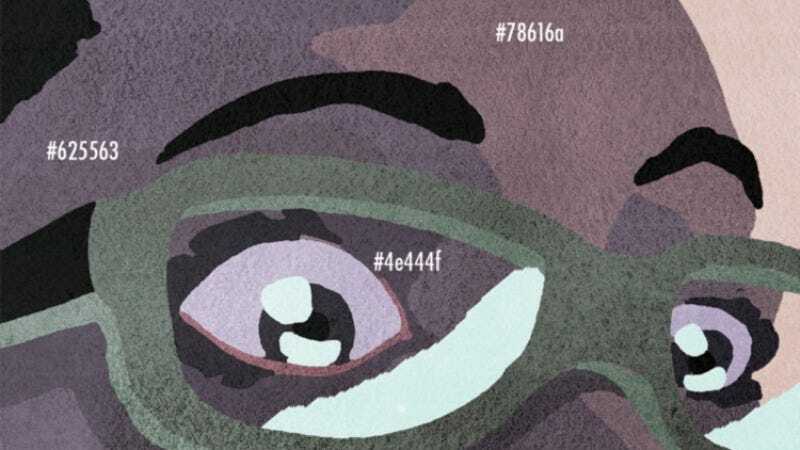 In his piece, Wimberly recounts working with an editor who requested that he lighten a character’s skin tone, which leads to a wider consideration of consciously choosing color swatches, and how race is represented in comics—both on the page and in the industry. Wimberly complements his thoughts through specific artistic choices. By taking a watercolor approach that eschews ink, he draws attention to how critical color can be in telling a story. Wimberly also assigns hexidecimal IDs (a six-character string used to define RBG colors) to many of the color blocks. In fact, he opens by identifying as black, but also offers his own hexidecimal tone (which changes in the piece). The discussion isn’t confrontational; clearly he enjoys doing business with Marvel and working with the anonymous editor in question. Wimberly asks some important questions that go beyond any single publisher (or comics as a whole), like why should his selection for skin tone be overridden, how we delineate ethnicity and race, and why even bringing up race can be a non-starter. He wonders why he has yet to work for a black editor, and talks about how he addressed the whitewash request by ultimately ignoring it.